The impact of adjuvant radiotherapy for pancreatic adenocarcinoma (PAC) remains controversial. We examined effects of adjuvant therapy on overall survival (OS) in PAC, using the National Cancer Data Base (NCDB). Patients with resected PAC from 1998 to 2002 were queried from the NCDB. Factors associated with receipt of adjuvant chemotherapy (ChemoOnly) versus adjuvant chemoradiotherapy (ChemoRad) versus no adjuvant treatment (NoAdjuvant) were assessed. Cox proportional hazard modeling was used to examine effect of adjuvant therapy type on OS. Propensity scores (PS) were developed for each treatment arm and used to produce matched samples for analysis to minimize selection bias. From 1998 to 2002, a total of 11,526 patients underwent resection of PAC. Of these, 1,029 (8.9 %) received ChemoOnly, 5,292 (45.9 %) received ChemoRad, and 5,205 (45.2 %) received NoAdjuvant. On univariate analysis, factors associated with improved OS included: younger age, higher income, higher facility volume, lower tumor stage and grade, negative margins and nodes, and absence of adjuvant therapy. On multivariate analysis with matched PS, factors independently associated with improved OS included: younger age, higher income, higher facility volume, later year of diagnosis, smaller tumor size, lower tumor stage, and negative tumor margins and nodes. ChemoRad had the best OS (hazard ratio 0.70, 95 % confidence interval 0.61–0.80) in a PS matched comparison with ChemoOnly (hazard ratio 1.04, 95 % confidence interval 0.93–1.18) and NoAdjuvant (index). 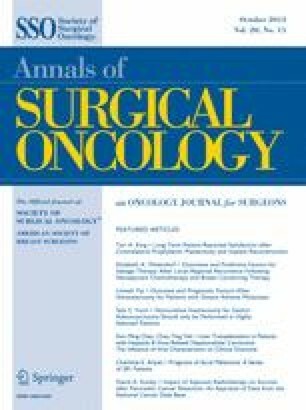 Adjuvant chemotherapy with radiotherapy is associated with improved OS after PAC resection in a large population from the NCDB. On the basis of these analyses, radiotherapy should be a part of adjuvant therapy for PAC. 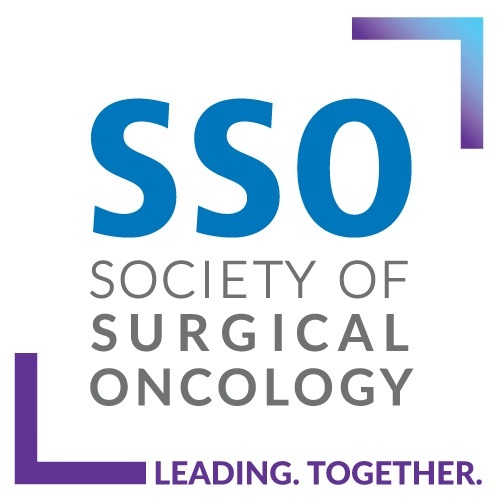 Podium presentation at the 65th annual meeting of the Society of Surgical Oncology, March 24, 2012, Orlando, FL. The online version of this article (doi: 10.1245/s10434-013-3047-x) contains supplementary material, which is available to authorized users. Supported in part by grant 5P30CA138292 from the National Cancer Institute.